A parent's crash course on food and flavor during and after your child's cancer treatment. Cooking for Kids with Cancer is a parent’s crash course on food and flavor during and after your child’s cancer treatment. 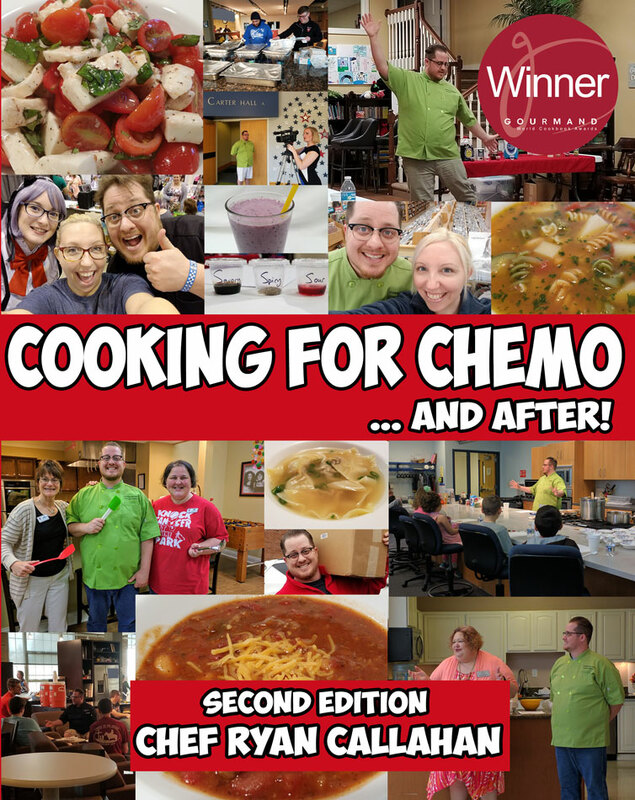 This book builds on the principles that Chef Ryan Callahan introduced in his award winning book Cooking for Chemo ...and After! 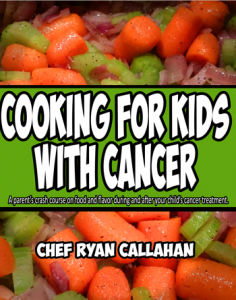 Cooking for Kids with Cancer is a self-help guide that helps you to navigate the toughest terrain around... eating during and after cancer treatments! 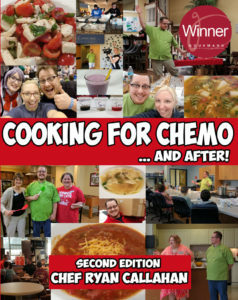 In this book, Chef Ryan Callahan continues the conversation on the role of flavor and taste changes that occur during and after cancer treatments and how to adjust your cooking for those changes. Chef Ryan teaches you how to use the knowledge you will learn in this book to overcome the most common eating related side-effects. Take professional notes during and after cancer treatment the same way this Chef does. Cooking for Cancer and After, teach you how to identify ingredients, seasonings and flavors that will help you learn how to adjust your cooking during and after cancer treatment. 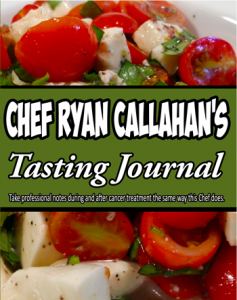 This Tasting Journal works in conjunction with the other texts creating a complete understanding of the taste and flavor changes that are occurring during and after cancer treatments. By using this resource you will be to take control of your eating experience which will empower you to have a better quality of life.